There is no more visible indicator of mainstream American pop culture than the New Year’s celebrations at Times Square in New York City. If you want a clear indicator of which celebrities your grandparents know about, this is it – and now you can add Ninja to the list. Twitch’s top streamer will be playing Fortnite on-site to help ring in the new year. Ninja’s marathon Twitch stream will broadcast live from Times Square starting, naturally, on December 31. The stream begins at 13:00 PST / 16:00 EST / 21:00 GMT and will conclude at 1:00 PST / 4:00 EST / 9:00 GMT on New Year’s Day. Some number of surprise guests will be part of the stream – hopefully that includes the Steve Harveys and Ryan Seacrests that make the usual Times Square broadcast so endearingly awkward. 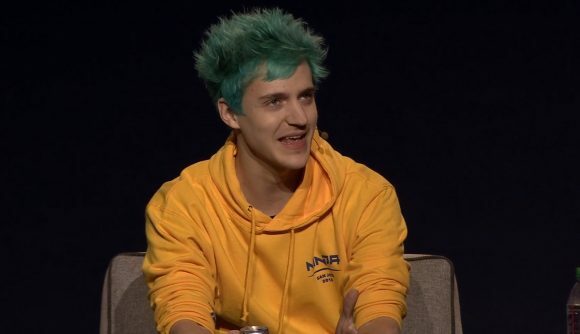 It may not be the most auspicious time for Ninja’s announcement, since Fortnite Twitch viewers are on a downward slope. But even with that in mind, Fortnite remains one of the biggest games on the platform, and Ninja is likely to be Twitch’s most prolific face well into the new year.